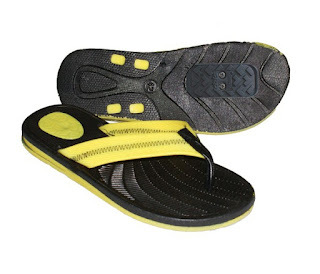 Century Cycles Blog: New from Shimano: SPD-compatible flip-flops! Nothing beats the efficiency of Shimano SPD pedals and shoes. And nothing beats the feeling of relaxation from slipping into your favorite pair of flip-flops after a hard bicycle ride. Now, you don't have to miss a beat when going from your ride to the post-ride recovery. With the new SH-FL05, Shimano has taken the carbon fiber sole plate of their high-performance mountain biking shoes, and integrated it into a light, airy, and comfy flip-flop. Available in men's and women's whole and half sizes, and widths. The Shimano SH-FL05 -- never has it been easier to go from bike, to bar, to beach! Now in stock at all three Century Cycles stores.